Softvelum team is continuously improving the security and reliability of our products. As one of the steps, we now add two-factor authentication for accessing WMSPanel. 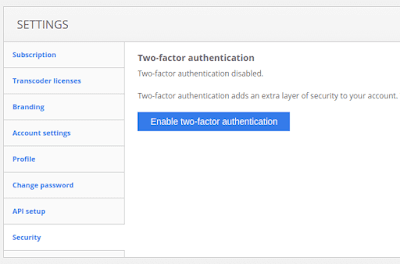 Two-factor authentication (also known as 2FA) is a method of confirming a user's claimed identity by utilizing a combination of two different components. 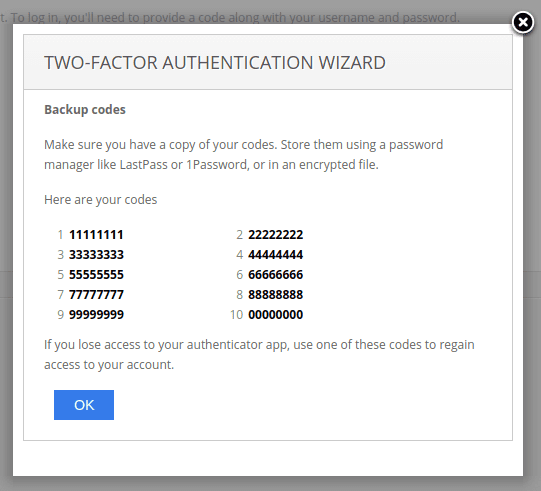 In case of WMSPanel this means using user/password pair and then generate access code using your mobile device. So when you log into your account, you'll need to enter login information and then use your Android or iOS device to create 6-digit code and provide it to WMSPanel. Here's how you can use this new security measure. 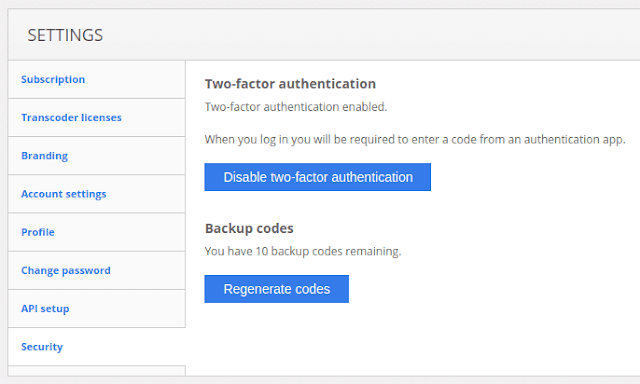 To use 2FA on your mobile device, you need to install one of the apps which support it. 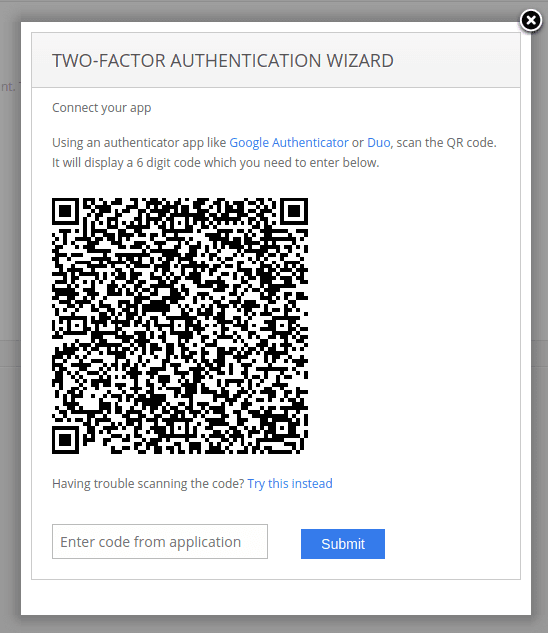 Some popular apps are Google Authenticator or Duo Mobile but you can use any app you like. Use their respective links to install and setup proper apps before moving further. Go to Settings menu and select Security tab. Click on Enable two-factor authentication button to see the following wizard. In your authenticator application you need to scan the appearing QR in order to get 6-digit code. Enter and submit it to see the page with backup codes. You will be able to use then in case you don't have mobile device at hand. Once it's set up you will be able to to disable this auth method as well as generate new backup codes if you want. 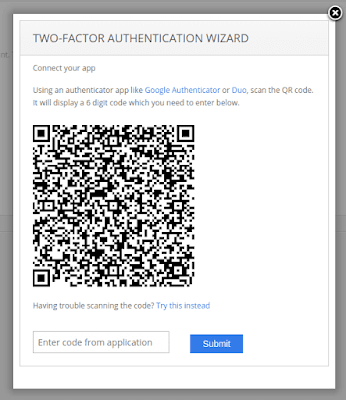 Use your authenticator app to generate and use it. We keep searching to better ways of making our customers more secure so we look forward to getting your feedback.